Explore virtual reality with the Avatar VR Desktop. 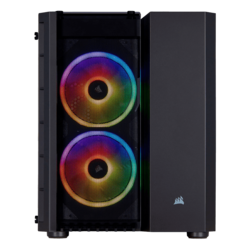 This VR PC is specifically optimized for virtual reality, so you don’t have to worry about meeting the hardware requirements. This VR HTPC has the performance to run an immersive virtual reality experience, and small enough to fit in your media center. Are you ready to experience complete and total immersion? Discover the realm of virtual reality with a high-performance VR PC from AVADirect. Get a virtual reality PC that’s VR Ready straight out of the box, with our Avatar Series VR systems. Optimized for virtual reality, these powerful VR computers come preconfigured with the hardware requirements needed to run VR. Just plug and play to experience seamless VR gaming instantly with your VR headset, no adjustments needed. We’ve partnered with top VR and component manufacturers in the industry to bring you a line of high-performance VR computers designed to give you an amazing VR experience every time. 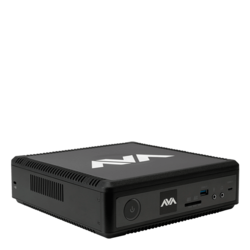 Our Avatar Series VR systems are available in a range of form factors, from mid-tower desktops to HTPCs that fit anywhere, so you can experience VR in any room. Order your virtual reality PC with our easy-to-use, redesigned online configurators. With access to all of the available parts on the market, you’ll get the exact hardware you need to explore the world of VR, as soon as they’re released. Not sure what hardware is required to run VR? We’ve got you covered. Our knowledgeable sales team is here to answer all of your questions and recommend the best build based around your specific VR needs and your budget. Let the experts build your specialized Avatar Series VR system, so you can just sit back, relax and get (VR) ready to game on! No settings adjustments necessary. Plug you’re HTC VIVE or OCULUS RIFT VR Headset in and prepare to be transported to a new reality. Meet the graphics-intense demands of the newest VR experiences with premium hardware in your new AVADirect VR PC. Get high resolution and high frame rates with powerful NVIDIA GeForce GTX or Radeon series graphics cards that are optimized for a smooth VR experience. The latest Intel and AMD processors give you the incredible power and responsiveness your VR computer needs to meet the strenuous demands of VR. Our team of skilled technicians will assemble your VR PC to the exact specifications needed to run VR, with multiple quality checks and a 24-hour burn in, so you will never have to worry. If you ever need to change up your settings or upgrade your hardware to run the latest VR games and applications, we’re there to help. That’s why every custom built AVADirect virtual reality PC is backed by our lifetime technical support.